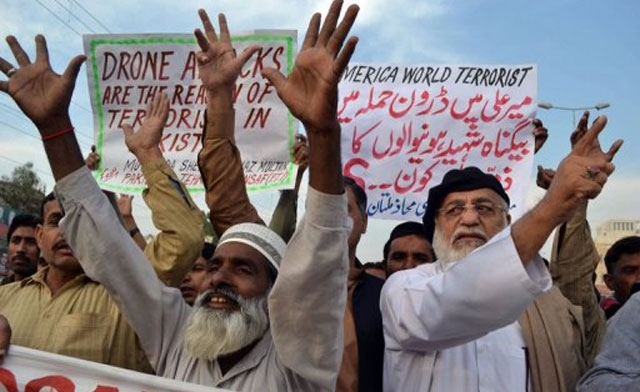 U.S. drone strikes against Islamist militants decreased in Pakistan’s tribal regions for the second year in a row but intensified in Yemen, according to figures compiled by a Washington think tank. In Pakistan, 46 strikes were carried out in 2012, compared to 72 in 2011 and 122 in 2010, the New America Foundation said, based on its compilation of reports in international media. But Yemen saw an equally drastic increase in the clandestine attacks, with strikes against al-Qaeda in the Arabian Peninsula (AQAP) militants rising from 18 in 2011 to 53 in 2012. This “drone war” is officially classified, and the U.S. does not provide any information on the strikes. President Barack Obama, who has increased the use of drones compared to his predecessor, George W. Bush, only incidentally recognized their existence at the end of January in an online exchange. The vast majority of the strikes in Pakistan hit in North Waziristan, Qaeda's main sanctuary and a stronghold for Afghan and Pakistani Taliban. Many of the strikes were in and around the regional capital, Miranshah. These strikes, with Reaper or Predator drones, killed between 189 and 308 militants and at least seven civilians, the New America Foundation said. According to the Afghan spy agency, the operational leader of the Qaeda-linked Haqqani network, Badruddin Haqqani, son of the group's founder, was killed in an August 21 drone strike -- though the death has not been confirmed by other sources. Meanwhile, in Yemen, between 397 and 539 militants were killed by drone strikes, according to the New America Foundation, which did not specify the number of civilian victims. Some of the strikes in Yemen were conducted by US airplanes. The drones used there are operated both by the CIA and by the Joint Special Operations Command. The intelligence agency has its own fleet of 30-35 devices, according to the Washington Post, while the Pentagon can count on 215 Predator and Reaper drones, according to the Congressional Research Service. Attacks by unmanned US aircraft remain contentious. They are deeply unpopular in Pakistan, which says they violate its sovereignty and fan anti-U.S. sentiment, but American officials are said to believe they are too important to give up. Casualty figures are difficult to obtain. 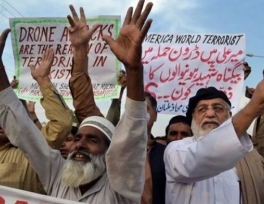 A report commissioned by legal lobby group Reprieve in September estimated that between 474 to 881 civilians were among 2,562 to 3,325 people killed by drones in Pakistan between June 2004 and September 2012.